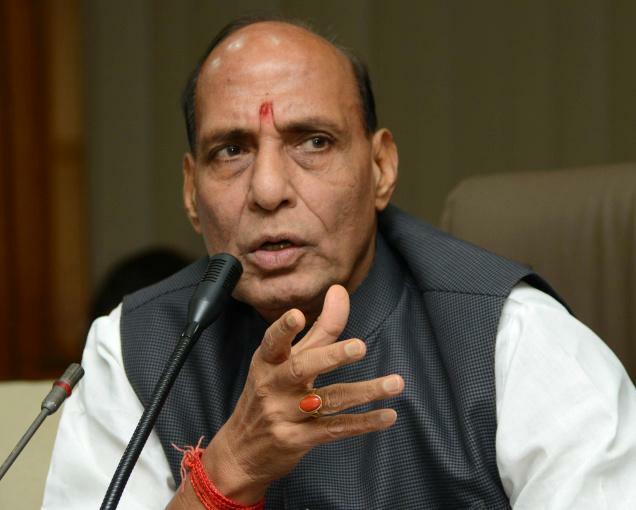 He may be one of the most powerful ministers in the Narendra Modi cabinet, with the Intelligence Bureau and Various central para-military forces reporting to him, but Union Minister Rajnath Singh has not been able to secure an official Gmail address of his choice. Though keen to assume the Gmail login, which would be similar to his official Twitter handle @HMOIndia, Singh ran into a wall as the username was already 'Taken' by a 'squatter'. A 'squatter' in internet parlance, is one who snaps up important domains of user names that can be identified with key brand sof institutions. Most squatters do not intend to operate these user names ever, but want to simply own them for their prominence or may be looking to make money from selling them. Notwithstanding the country's intelligence and security apparatus at his command, Singh and his aides could not establish the identity of this 'squatter' leave alone request him/her to surrender the coveted Gmail address. The result being, Singh has settled for a much londer username-homeminsterofindiaoffice@gmail - for sending and receiving internal e-mails relating to the home ministry. Incidentally, the home minister's travails in getting his prefered cyber identities were not limited to Gmail alone. Even his Twitter handle @HMOIndia, the second most followed account in the government, was launched in July last year after a fair amount of 'behind-the-scenes' effrots by his staff. According to sources, Singh, after assuming charge as home minister, was keen to start an official Twitter handle with the username @HMOIndia, on the lines of @PMOIndia. HOwever, his staff discovered that the username had already been taken.